After having some out of town weekend fun I was ready to get back to some homemade food. I whipped up this quick and easy, part cooked, part raw salad. 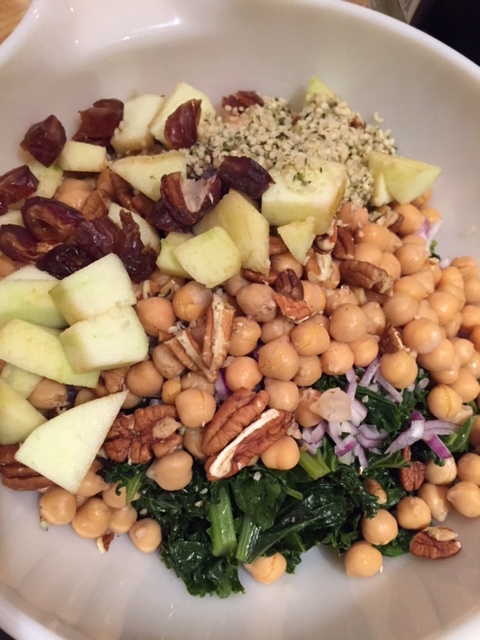 This salad provides healthy dose of plant protein, good carbohydrates, good fats and fiber. Boy, oh boy did it turn out tastier than I expected. I had a few odds and ends in my fridge so I threw them together. The result created a new favourite. – chopped and washed kale leaves… then quickly sautéed them in a little olive oil and water until slightly wilted and still bright green… about 3-5 minutes… then threw this in a bowl. Dressing: 1 part lemon juice (from 1 lemon), 2 parts olive oil, a little raw honey, sea salt… mixed well to emulsify. 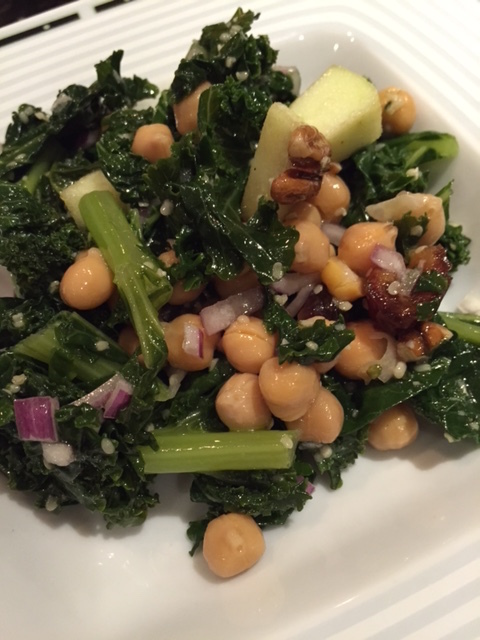 Enjoy this at lunch or dinner… It’s a tasty and healthy quick fix!